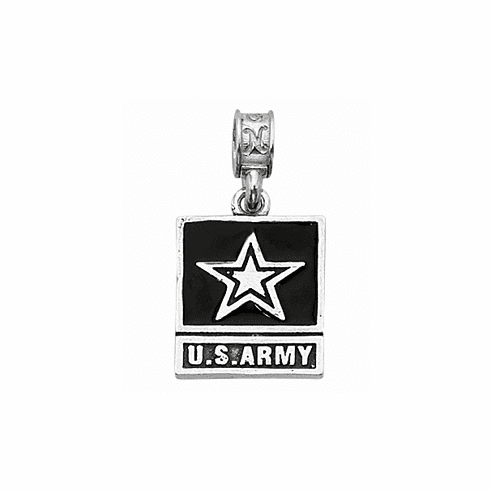 Army Logo – The single star on the Army Logo is symbolic of both the individual soldier and the collective strength of the Army. Along with the “Army Strong” slogan, it represents soldiers' pride in making a difference for themselves, their families, their communities and their nation. Our charm is crafted in .925 sterling silver and accented with black enamel.